Raja (L) and Suneet Singh Tuli are brothers with a Midas touch. Their Canadian company, Datawind, has bridged the digital gap with its affordable devices. Supplied photo. Some people equate their net worth with their self-worth. Suneet Singh Tuli doesn’t need constant validation from the tech-industry to acknowledge the impressive feats his company Datawind has pulled off since it was founded. The Tuli family’s spirit of enterprise grounded in deep-rooted spirituality powers not their devices, but the company’s strong corporate social responsibility (CSR) initiatives as well. Datawind’s UbiSlate tablet—which retails at $37.99 — may not enjoy the same cult status the Apples and Samsungs do, but, it’s safe to say the devices are transforming the lives of the millions of people in developing countries by giving them access to technology. Whenever an email from a remote school in Uganda or India with photographs of children holding a UbiSlate device lands on his inbox, Suneet, 46, says he feels a sense of fulfillment. “When your business impacts something or someone, then it becomes fun,” Suneet said. “The real satisfaction comes when you can get people connected and excited about technology. Suneet’s says although he’s the face of the company, his intensely private older brother, Raja, 48, is the one whose idea it was to come up with a low-cost tablet. So many tech startups in Silicon Valley and elsewhere can trace their origins to ubiquitous garages. These windowless spaces have served as an incubator to rock stars and tech mavericks alike. For starters, the Datawind’s Garage Story did not start in the garage. It began in Yukon. The Tulis immigrated from Iran in 1979 and put down roots in Fort McMurray, (Alberta). Lakhbeer Singh Tuli (Suneet and Raja’s father) started a construction company that primarily built bridges in remote areas of Canada. His sons, Raja and Suneet, spend their summers working for their dad. One of the sites was in Pelly Crossing in Yukon. One summer, the ever-perceptive Raja, noticed staff cutting strips of technical drawings, individually feeding them into the fax machine, and then gluing the pieces together. Raja was convinced there had to be a better way. So, he hit upon the idea to build a large fax machine from scratch. He sourced the materials, designed and assembled it. This fax machine one could accommodate large format engineering drawings without mutilating them. Tuli Sr. agreed to fund the enterprise. The fledgling company (Widecom) then hired experienced sales guys to market the product, but six months into the venture, sales went cold. At this point, Suneet, a natural salesman, was pursuing his engineering degree at the University of Toronto. He suggested to Raja they contact the Guinness Book of World Records (GBWR) and submit the fax machine for consideration as the world’s largest fax machine. Raja was initially skeptical, but Suneet convinced him. The fax machine made it into the silver book. Then everything unfolded seamlessly. Fortune 500 magazine devoted a quarter-page to the Tuli brothers and their ingenuity. Some weeks later, British Petroleum (BP) placed an order for 12 machines, each costing $20,000 each. The Tuli brothers were in their mid-20s when they made their first million, or rather $8 million. The wide-format fax machine was a timely innovation and a huge hit. The brothers floated WideCom on NASDAQ. Corporate giant Xerox expressed interest in acquiring the company, but the Tuli brothers passed on Xerox’s offer. In hindsight, one can bemoan their decision was a bit short-sighted, however, in the long run, it helped Raja and Suneet to explore new and emerging technologies, instead of resting on one laurel. 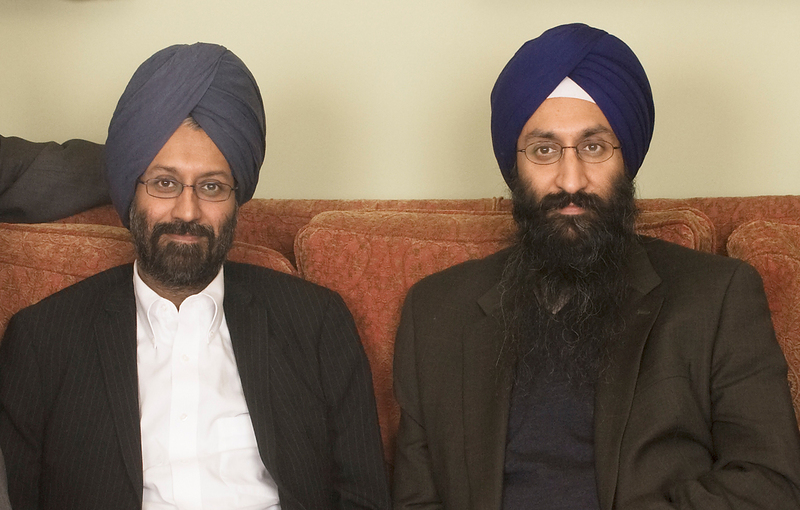 The brothers launched Datawind Inc. in 2000. Stay tuned. In the next part, Toronto Desi Diaries will reveal how the world’s least expensive tablet/phablet has been able to connect profit margins with philanthropy.